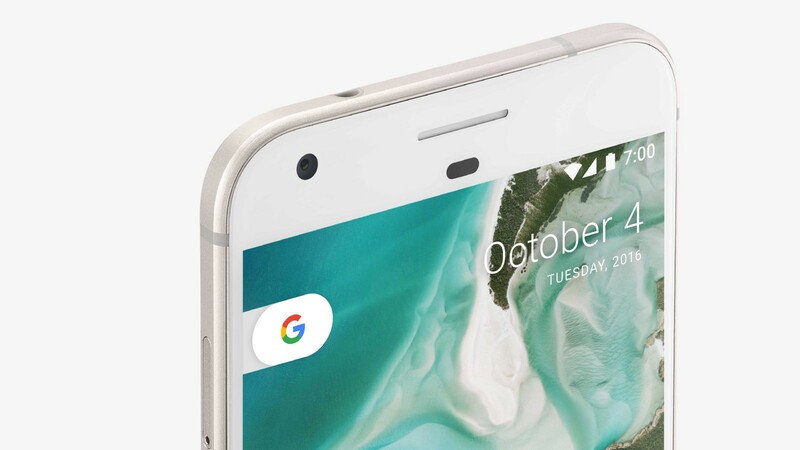 With the Pixel phone, the first in a new line of Google products released this fall, we made it our mission to ensure that every element of the user experience created a consistent tone — one that not only expressed the Google brand in new dimensions, but also stayed true to our core design principles of simplicity, intelligence, customization, and trustworthiness. By showcasing the best of what Google has to offer, we hoped to target a demographic interested in a premium Android device with a confidently minimal experience. The team decided to focus on two major areas of the Pixel experience — wallpapers and soundscape — to achieve this goal. To ensure consistency across other products and areas of the company, we held working sessions with the Material Design team and Creative Lab, as well as other teams in San Francisco, LA, and New York. We developed concepts that utilized some of Google’s new and emerging technologies, while working within our meticulous engineering and performance benchmarks to emphasize intelligence, performance, high craft, and restraint. The Live Earth Live Wallpapers, created using Google Earth’s imaging technology. For a device wallpaper to be successful, it must clearly express the company’s brand while functioning as a passive layer behind the UI, and, most importantly, allow for the user’s self expression. By creating experiences that respond to and reflect the user’s context — transforming their surroundings into dynamic content and bringing a layer of intelligence to what is often a static background — we created a suite of wallpapers that go beyond those base requirements for success. Models generated for Half Dome Yosemite, CA; Arches National Park, Utah; Whitehaven Beach, Queensland. Pixel evolves the art direction established with earlier Nexus products — namely the abstracted color compositions and satellite imagery — and enhances the way those images interact with and respond to the user. To achieve this, we partnered with the Google Earth team to create models of iconic, global landmarks using Google’s 3D geometry technology. Incorporating 3D scenes rather than just flat imagery, showcases the depth and scale of these natural and manmade landmarks without draining battery or increasing data usage. For example, Your World provides a stunning, globe-level view of your location, and incorporates real-time data from daily life. Horizon, another wallpaper in this series, dramatizes the battery cycle of your phone from charge to recharge — as your battery drains, you’re presented with an increasingly glorious sunset that transitions into a rising moon — creating a live experience that is aesthetically pleasing, highly personalized, and imparts a bit of that Google magic. Expressing the user’s context as much as possible, offers simple beauty while hinting at deeper levels of data and information. Aurora Timelapse utilizes location, time, and weather data. Aurora Timelapse, the wallpaper that will be on every Pixel phone out of the box, uses current location, time, and weather conditions to create subtle but lush colorscapes that respond dynamically to your location. The composition of this wallpaper took hard work, as we wanted to ensure that the horizon would line up perfectly with the back-plate of the phone. We also needed to develop a robust color palette to show off our rich AMOLED screens while complementing our mostly primary-colored Google app icons. The final result is a set of live data wallpapers that balance simplicity and intelligence without creating unnecessary clutter and noise. Jamie Chung’s New Elements collection. To contrast and complement the geo-based wallpapers, we also expanded our work with artists and photographers whose style and range map thematically to Google’s brand — covering themes like exploration, science, and discovery. Jamie Chung’s exclusive Pixel series, New Elements, is an investigation into raw, elemental materials. He photographed water, vapor, iron ore, and ferrofluid to produce a striking range of imagery that is at once intelligent, graphic, and quirky. In contrast, Zack Seckler’s series, Sky High, observes stunning moments of coastal wildlife. Zack’s aerial shots of the South African marshlands build off of our past satellite imagery while adding a more emotional narrative. But that’s only half the story. Visit design.google.com to read (and hear) the remarkable account of how Pixel phones were designed to cut through the noise and express Google’s brand through sound.